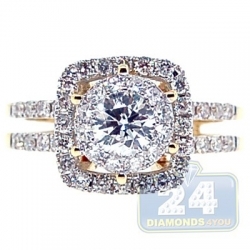 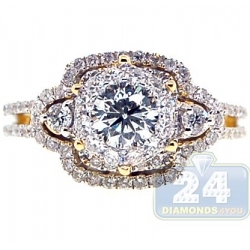 Like a timeless beauty, our antique looking engagement setting will be treasured now and always! 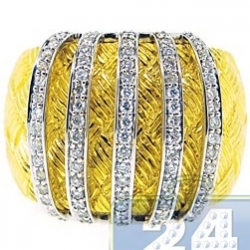 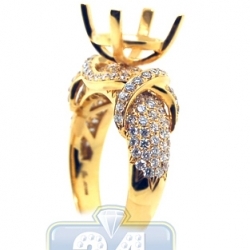 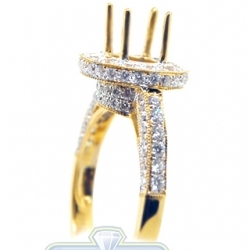 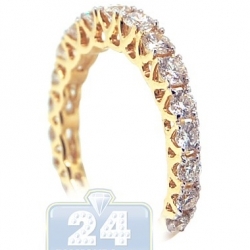 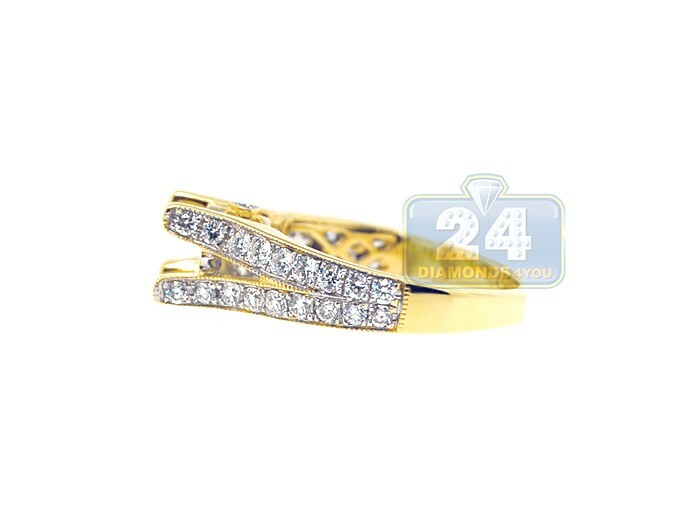 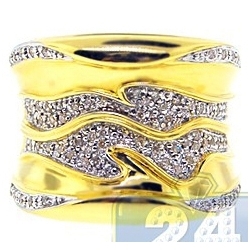 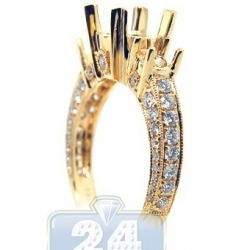 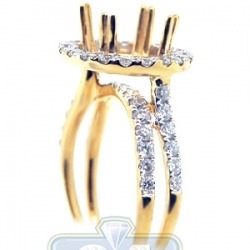 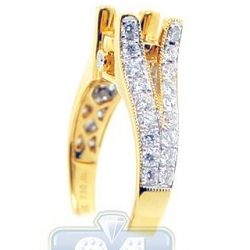 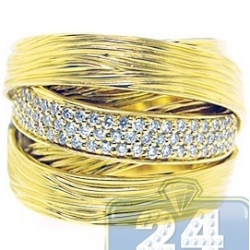 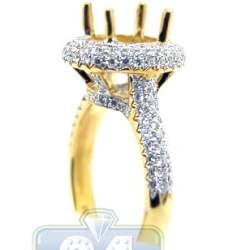 The ring features a tall shank masterly accented on sides with genuine white round cut diamonds totaling 0.89 carat. 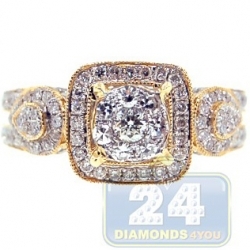 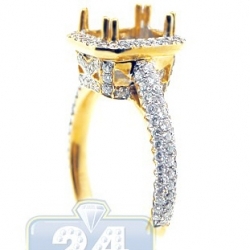 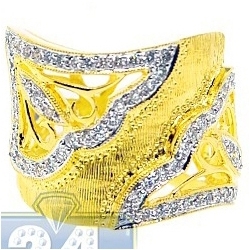 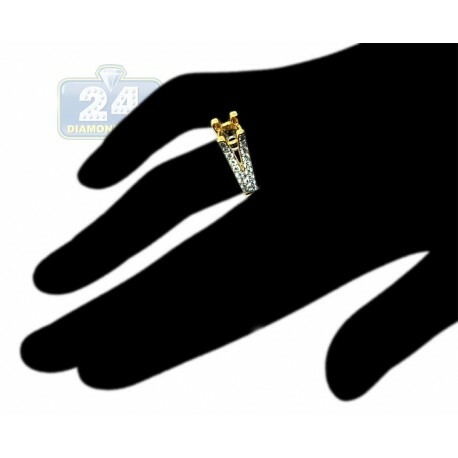 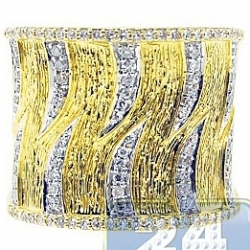 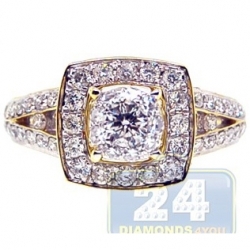 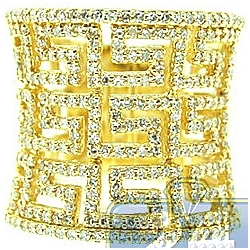 Art Deco styled crown can securely hold round or square shape center stone of your choice. 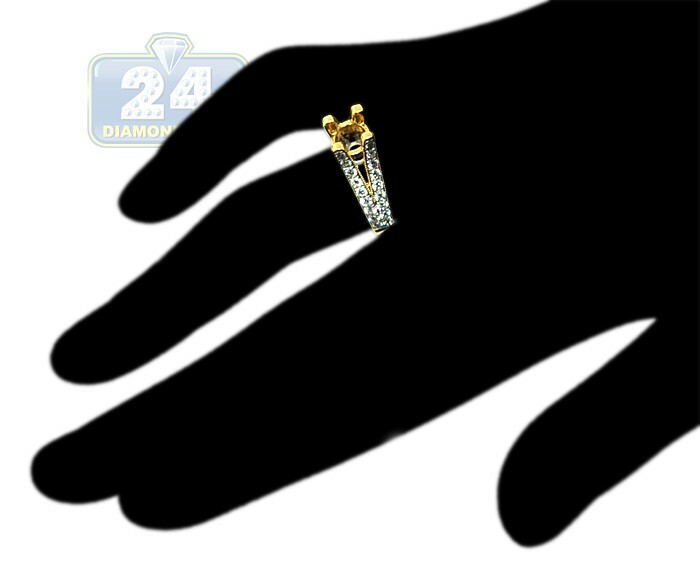 This impressive setting is masterly designed in classic 18k yellow gold with high polished finish and ready to be worn for many years to come.